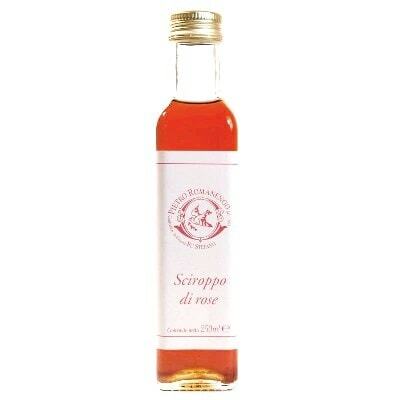 All the way from a convent garden in Liguria, this exquisite bottle of rose petal syrup is an absolute delight for pastry chefs. From organic rose petals, this sweet flavoring is by Romanengo, Ligurian maker of chocolates, preserves, and other sweet treats. How to use this fragrant sweet syrup exactly? Well, you can use it to flavor all kinds of sweet treats and pastries including cakes, cookies, and meringues. You can even use it in delicious milkshakes, snow cones, or cocktails. Want to make some sweet floral-scented frosting? Add a few drops of this to the icing mix and be delightfully surprised. What are you waiting for? Grab a bottle and get to baking today!